One year ago, I had a very rich, though unexpected experience in France over Remembrance Day. 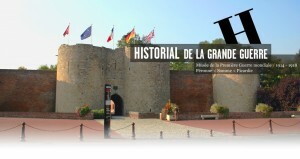 I was in Péronne at the Historial de la Grande Guerre for a conference on “Future Wars, Imagined Wars [Guerres futures, guerres imaginées].” The conference focused on pre-1914 ideas regarding the likelihood of war and what shape it might assume. Because I decided to conduct some research before and after the conference I was able to accept an invitation to a series of fascinating events that underlined the tenacity of memory regarding the First World War in France. 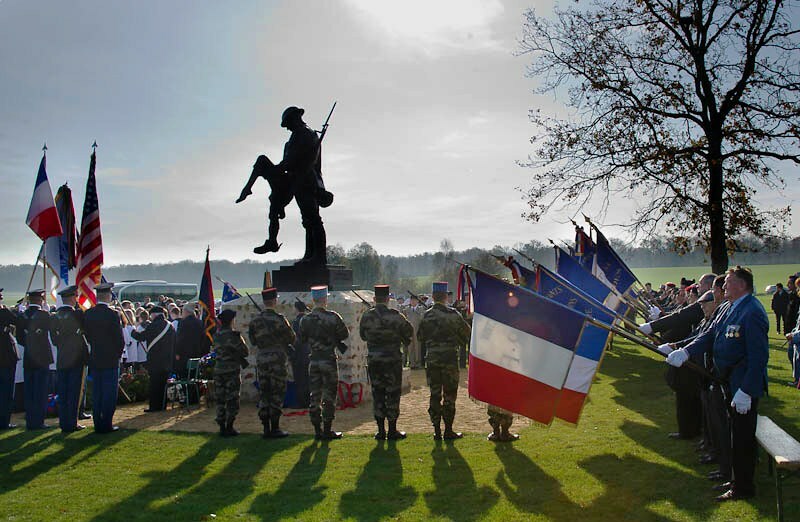 On November 11, I was invited to attend the official commemoration at Rethondes in the Forest of Compiègne. As I walked past the railway carriage where the armistices in 1918 and 1940 were signed, my thoughts turned to the grainy, newsreel images I had seen as a child and to the half visible figures moving with quick, robotic motions. The colour and pageantry, the sound of music, the ease and fluidity with which people mingled were all a far cry from those solemn occasions where Germany and then France surrendered. 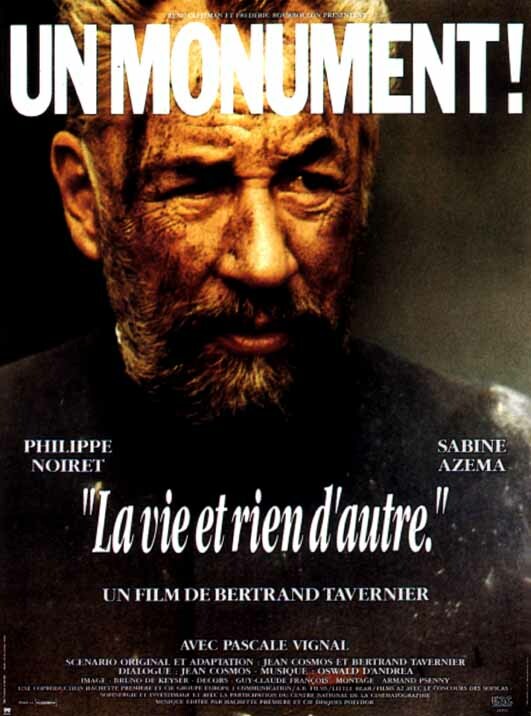 That evening, I attended a screening of Bertrand Tavernier’s film, La Vie et rien d’autre (1989), which was followed by a conversation between Tavernier and the American historian, Jay Winter. Tavernier’s film is often cited today for heralding an era of renewed interest in the Great War in France. The two men spoke with candour and mutual respect about the work, which is focused on one woman’s quest to find her husband amidst the chaos of the war’s end and her unlikely relationship with the officer charged with the clearing of the battlefields and with the selection of the body to be placed in the Tomb of the Unknown Soldier beneath L’Arc de Triomphe in Paris. The next day was even more intriguing. 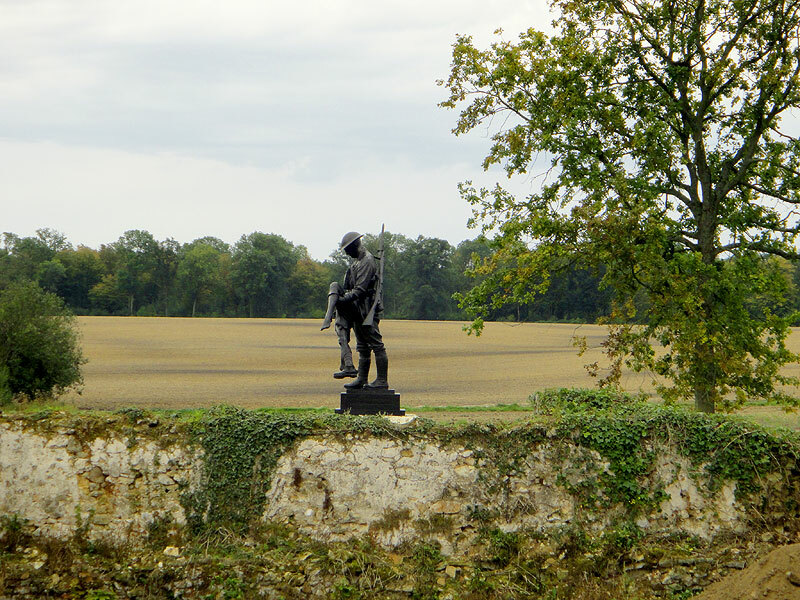 On November 12, we traveled to the scene of the Battle of Croix Rouge Farm, near Fère en Tardenois (population: approx. 3,300) to take part in the inauguration of a memorial to US troops that fought in the Great War. It surprised me that, ninety-three years after the engagement, there remained the will to remember the young men who gave their lives thousands of miles from home. I was stunned to see the turnout for the inauguration. More than 200 people surrounded the shrouded figure just off a road in a bucolic setting, in what at one time would have been called la France profonde. Men dressed in the familiar sky blue uniforms of poilus circa 1918 completed the other-worldly effect. The statue, created by James Bulter MBE, R.A., commemorates a fighting force with its own unique and fascinating history, the 42nd Division. This division was a composite unit created by the amalgamation of a number of National Guard units (including the 69th New York, 4th Ohio, 4th Alabama and 3rd Iowa regiments). The thought was that these men were the best prepared that the United States had at that moment. Seeing the geographical breadth of the troops drawn into this unit, and noting also the presence of black troops in the complement, it was Gen. Douglas MacArthur who said “The 42nd Division stretches like a Rainbow from one end of America to the other”, thereby bestowing on the unit its unofficial name, the Rainbow Division. Having just taught a course on War and Memory, in which one of the students produced a paper chronicling the experience of African American troops – not sufficiently human to be accorded equality but sufficiently human to be asked to make the supreme sacrifice for the United States – I was enthralled by this belated but heartfelt expression of gratitude. On a crisp, sunny November day, the presence of rainbows seemed wholly appropriate. Peter Farrugia is an associate professor of history and contemporary studies at the Brantford Campus of Wilfrid Laurier University and a Research Associate of the Laurier Centre for Military Strategic and Disarmament Studies.